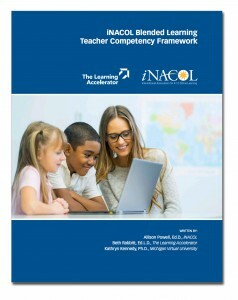 Idaho Digital Learning professional development program includes a statewide blended learning consortium which offers online courses and content, training, strategic planning services, and technology to support Idaho school districts interested in implementing a blended approach. Idaho Digital Learning has four Professional Development Specialists who travel throughout Idaho to provide on-site teacher training and consulting services to help districts develop plans to support a blended program. Idaho Digital Learning has established several indicators of success; the number of courses developed, number of teachers trained and using the Idaho Digital Learning courses in the classroom, consortium member and enrollment growth. The consortium is working toward gathering data pertaining to student growth and motivation.